Lakewinds grocery department is full of unique, delicious and healthful items that run the gamut from pantry staples to gourmet treats. We stock as many locally produced items as we can, favoring organic choices whenever possible. While all our products are made with high-quality ingredients, what we leave out is just as important. We will not carry products that contain high-fructose corn syrup, food coloring, artificial preservatives, additives or artificial flavoring. All canned items are BPA-free. If there’s an ingredient we don’t recognize, we research it to determine if it meets our standards. 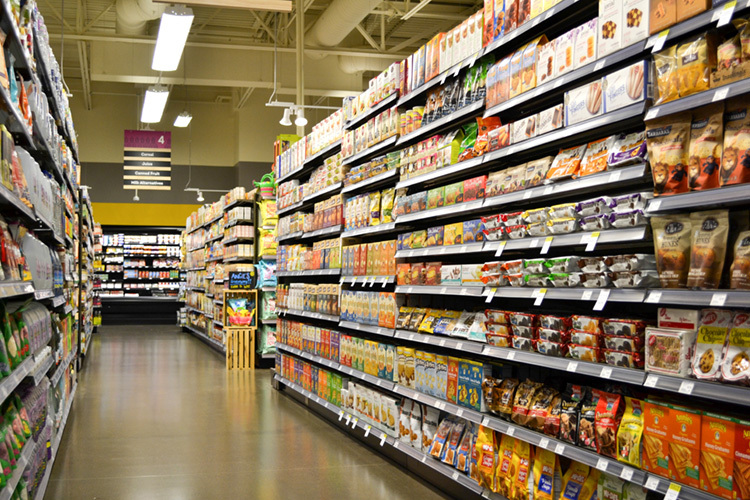 In the grocery aisles, you’ll find organic spices, unique baking supplies and a variety of alternative sweeteners, gourmet oils and vinegars. And you’ll appreciate our large selection of all-natural and organic salad dressings, soups and stocks, pastas and sauces, chips, beverages and much more. Looking for alternative dietary products? From dairy-free to wheat-free to gluten-free, our staff is glad to help you find what you need to eat well while avoiding your restricted foods.